I’ve been telling you about LET IT SNOW! SEASON’S READINGS FOR A SUPER-COOL YULE, which contains my humorous sf story, “The Pratty Who Saved Chrissmuss”. I also have news about FORCE OF HABIT, the novel that spawned … er, I mean inspired that story. In FORCE OF HABIT, a teacher on a starship goes out of bounds on shore leave and is mistaken for two different people by two different groups of criminals. She is neither of the people any of them think she is. In this scene, Bel (the teacher) has been caught in one of many lies she’s told in her efforts to talk herself out of trouble. The “boys” turned on her with equally malignant snarls. Utrop Ligniss didn’t snarl, though. He just crossed his arms over his chest and smiled. Maybe somebody would have to get smashed, maybe not. Either way, he got paid the same. That was the beauty part of being a strongarm man; you got paid either way. “The Security Caucus doesn’t have agents,” said Morgan. “You wouldn’t be secret anymore,” said Pron. 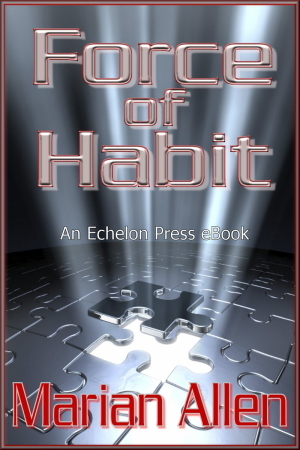 FORCE OF HABIT is (or soon will be) available only through Amazon for Kindle. If you don’t have a Kindle, here is a link to a page where you can get FREE apps to read Kindle books on a computer, iPad, or any electronic device. Not your shaver, though. At least, I don’t think there’s an app for your shaver. Go look, though; you never know. If 99 cents is too expensive to suit you, wait until December 20-24, when it will be a free download. Just in time for Christmas!!! Makes a great gift, too!!!! A WRITING PROMPT FOR YOU: Have a character attempt to talk himself or herself out of trouble. This entry was posted in FORCE OF HABIT, Sample Sunday. Tagged farce, novel excerpt. I just LOVE Llannon-speak. Wait, is that enough letters in LLaannannonn? Anyway, ’tis clear you didn’t watch those Abbott and Costello double-speak movies for nothing! I wouldn’t be at all surprised to find that Llannonn has a Susquehanna Hat Company Outlet Mall.